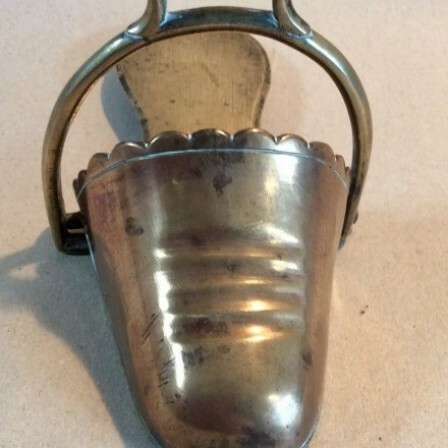 Antique Single Decorative Bronze Stirrup with hinged fitting for harness strap. 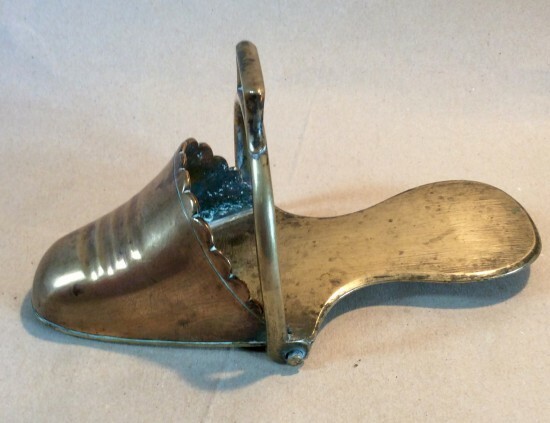 Description: Single decorative Bronze slipper style stirrup. This is cast and file finished to underside. 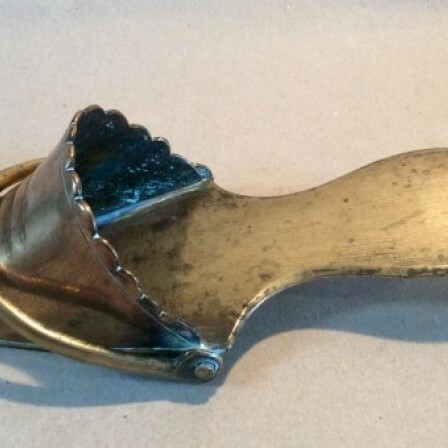 The upper side is polished and has daisy petal edge. No damage to hinge mechanism. Age related wear.These are difficult to date as have been made for centuries in Middle East. Size is small probably a ladies 5.